Biological carbon sequestration by forest ecosystems plays an important	role in the net balance of greenhouse gases, acting as a carbon sink	for anthropogenic CO2 emissions. Nevertheless, relatively little	is known about the abiotic environmental factors (including climate)	that control carbon storage in temperate and boreal forests and consequently,	about their potential response to climate changes. From a set of	more than 94,000 forest inventory plots and a large set of spatial	data on forest attributes interpreted from aerial photographs, we	constructed a fine-resolution map (~375 m) of the current carbon	stock in aboveground live biomass in the 435,000 km2 of managed forests	in Quebec, Canada. Our analysis resulted in an area-weighted average	aboveground carbon stock for productive forestland of 37.6 Mg ha-1,	which is lower than commonly reported values for similar environment. Models capable of predicting the influence of mean annual temperature,	annual precipitation, and soil physical environment on maximum stand-level	aboveground carbon stock (MSAC) were developed. These models were	then used to project the future MSAC in response to climate change. Our results indicate that the MSAC was significantly related to both	mean annual temperature and precipitation, or to the interaction	of these variables, and suggest that Quebec's managed forests MSAC	may increase by 20% by 2041-2070 in response to climate change. Along	with changes in climate, the natural disturbance regime and forest	management practices will nevertheless largely drive future carbon	stock at the landscape scale. 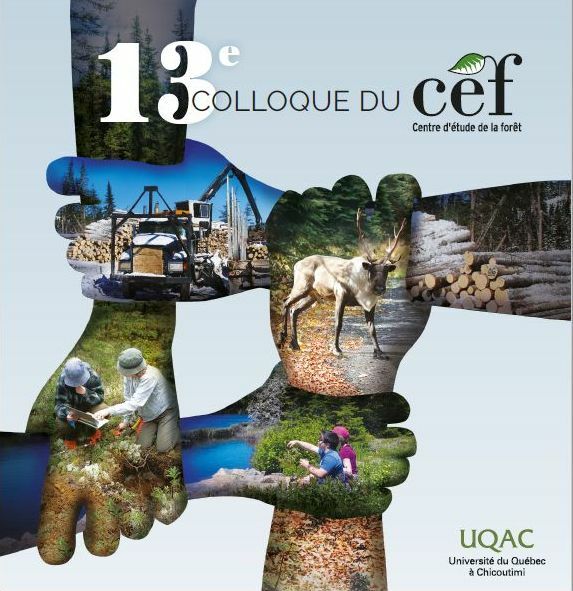 Overall, our results allow accurate	accounting of carbon stock in aboveground live tree biomass of Quebec's	forests, and provide a better understanding of possible feedbacks	between climate change and carbon storage in temperate and boreal	forests. © 2016 Duchesne et al.